and telemetry data that ensure users are properly licensed and authorized. Implement an effective compliance program that curbs piracy, protects your valued customers, and generates revenue. Leverage your software usage data to optimize trial evaluations, discover license compliance issues, and renegotiate enterprise license agreements from a position of strength. Guard your valuable intellectual property (IP) with security and licensing that protects your customers from binary tampering or counterfeit software that could include trojans, malware, and ransomware. 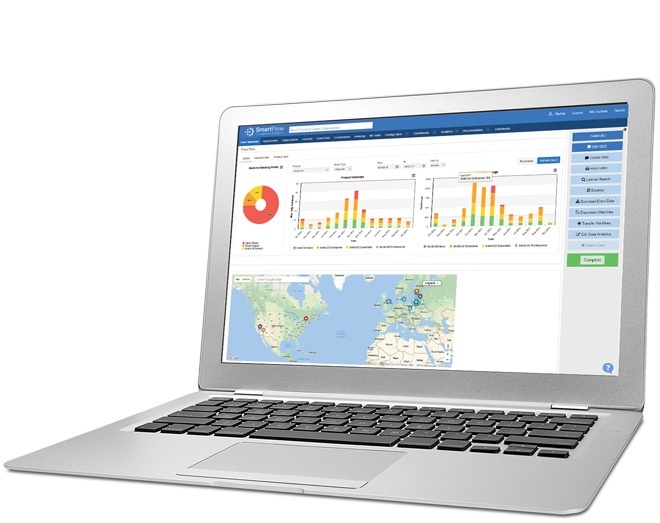 SmartFlow Enterprise 2019 is a complete solution that includes business analytics, lead generation, customizable reporting, an open application programming interface, (API) and integration with Salesforce.com. 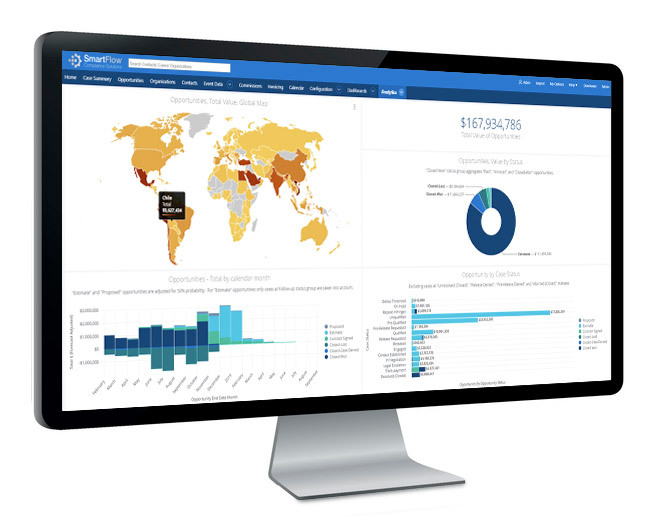 The 2019 release features over 50 innovative new data collection and analysis features and enhancements and reflects deep expertise in developing the latest technologies to detect piracy, as well as the industry’s most sophisticated data enrichment and analytical capabilities that help customers to recover revenue, generate leads, and analyze business and market trends. SmartFlow Professional 2019 is the perfect entry-level, cloud-based anti-piracy solution for small and medium-sized businesses (SMBs) that are developing on-premise software applications. SmartFlow Professional provides everything an SMB needs to begin or expand an effective license compliance solution. Armed with SmartFlow, companies can persuade unlicensed users to become paying customers or take necessary action against IP theft and copyright infringement. 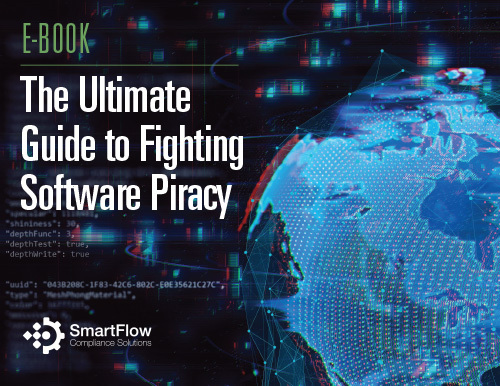 SmartFlow’s innovative detection, identification, and analysis software intuitively generates the facts and provides actionable insights on how non-compliance and piracy are affecting your business, customers, and profits. Frequently heard terms such as “cracked software,” and “counterfeit licenses” all sound very illegal. Another form of software abuse that is talked about less often is called “creative licensing,” which is just as illegal as counterfeit licenses. 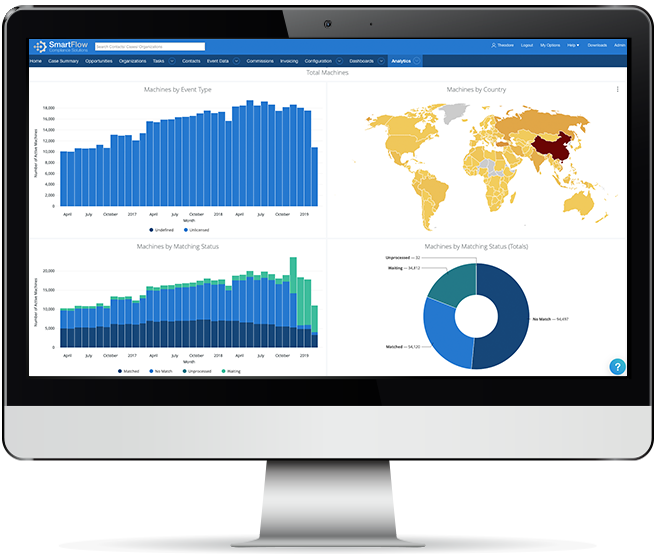 SmartFlow’s software usage analytics can help you optimize trial evaluations, discover technical support issues, and renegotiate enterprise license agreements from a position of strength.